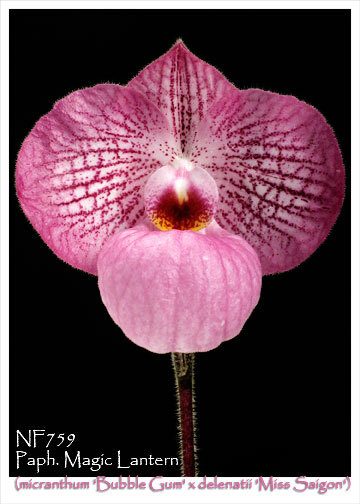 Remake of this popular primary Paphiopedilum hybrids. This stain has flowered with very large flowers with 5.5 cm of petal width. Fantastic cotton candy pink flowers on a striking mottled leaves. Very easy growing and flowering. , note: Very handsome foliage.